To investigate routines and attitudes among dentists and dental hygienists concerning use of fissure sealants and fluoride varnish for non-operative management of occlusal caries. All dentists and dental hygienists working in child dental care in three counties in Norway were invited to answer a questionnaire on routines for use of fissure sealants and fluoride varnish. Nine statements regarding attitudes towards use of sealants were scored using a five-point Likert scale. Multivariable logistic regression analyses were performed to assess indicators associated with reported routines for use of sealants and varnish. The study was approved by the Norwegian Centre for Research Data. In total 142 of 189 (75%) dentists and dental hygienists answered the questionnaire. The majority of the respondents, n = 83 (59%), reported to prefer fissure sealants while fluoride varnish was preferred by 57 (41%) of the respondents. Frequent use of fissure sealants was reported by 58 (41%) and frequent use of varnish by 104 (74%) of the respondents. Most (n = 104, 74%), used sealants on specific indications, and 89 (64%) opened fissures only when suspecting dentine caries. Preferred method and routines for occlusal caries management differed between counties (p < 0.05). 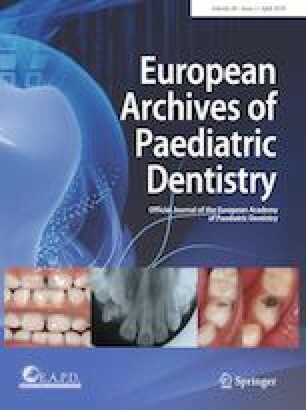 Almost all clinicians agreed with the statement that sealants are protective against caries, while statements regarding costs, technique sensitivity and children’s cooperation revealed some concerns regarding fissure sealing. Fissure sealants were the preferred method for occlusal caries management despite reported concerns related to technical aspects and patient cooperation. County-level variation in frequency of sealant use was observed. The authors would like to thank the Chief dental officers in Hedmark, Oppland and Østfold counties for distribution of the questionnaire and Ingrid Klepaker for her contribution with collecting and processing the data. Lov om tannhelsetjenesten. Helse- og Omsorgsdepartementet (Norwegian Ministry of Health and Care Services). 1984. LOV-1983-06-03-54. https://lovdata.no/dokument/NL/lov/1983-06-03-54. Accessed 2 Nov 2018. Statistics Norway. Tannhelsetenesta. Tabell 11959: Tannhelsetilstand og kariesforekomst blant 5-, 12- og 18-åringer, etter alder. Statistisk sentralbyrå (Statistics Norway). 2018. https://www.ssb.no/statbank/table/11959. Accessed 2 Nov 2018.